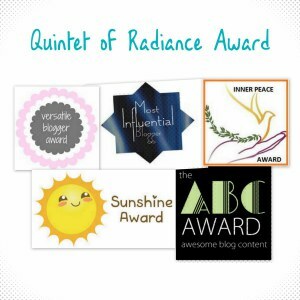 Loving these blogger awards! I am honored to receive another award from a fellow blogger, Lisa, at http://www.mysweetpeanut.com. I am really enjoying her blog and the engaging, relaxed style in which she writes. Thank you so much Lisa, for the award! Here are the rules of the award…accept and thank the person who nominated you; follow that blog; write 25 words or phrases that describe you, A-Z; list a few other bloggers who you think deserve the award.